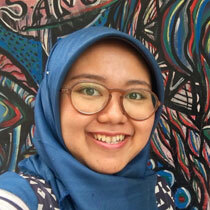 Anggrita Cahyaningtyas is a writer/content producer at the Center for International Forestry Research. Prior to joining CIFOR, she worked with Indonesia’s leading scholars at the Indonesian Academy of Sciences, leading communication strategy and campaign implementation for various scientific projects. She is a former journalist at Tempo, specialized in development issues.